The region’s top heart experts dish on the latest advances in heart care and the best ways to stay heart healthy. 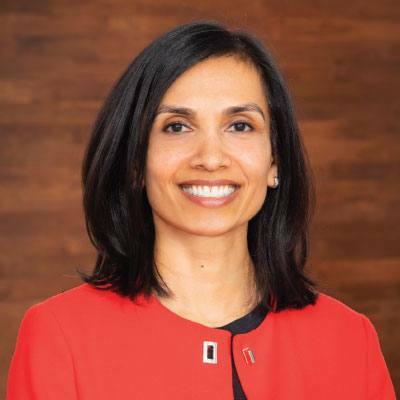 Main Line Health and Lankenau Heart Institute’s Riti Patel, MD, FACC, FASE, shares what she’s doing to prioritize her heart health. 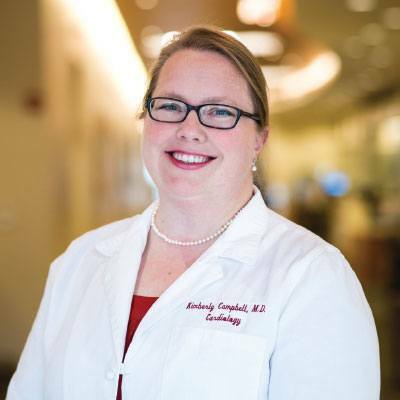 As the 2019 Go Red for Women Heart Champion, she wants to help you implement those practices into your own life. Do you have a personal connection to heart disease? Years ago, my aunt, a well-controlled diabetic who thought she was otherwise healthy, had a heart attack and needed emergency heart bypass surgery. Another family friend passed away unexpectedly at the age of 40 from heart disease. Unfortunately, with cardiovascular disease as the world’s number one killer, these types of stories are all too common. You’re an expert in heart conditions related to eating disorders. How do eating disorders impact heart health? An eating disorder is classified as a mental illness, and has the highest death rate of any mental illness. In fact, a third of those deaths are related to heart disease. Even many of those who don’t have an eating disorder have a complicated relationship with food. For so many of us, food isn’t just about hunger; it’s about culture, relationships and emotion. Changing how you eat, especially because those are truly lifelong habits, is hard. So we need to find a better way to address the issue and recognize it as a behavioral change. How long does it take for someone who’s eating a less-than-ideal diet to feel the effects on their heart? It depends on the degree of the behavior. If you’re eating poorly, you might notice that you feel achy, tired, or you generally have less energy. But if you eat poorly for an extended period of time, you may not even notice these side effects anymore. Your heart, however, is still impacted. Are there any minimally invasive treatments for heart disease? We’re able to offer patients robotic-assisted coronary artery bypass surgery, using a single one-inch incision; transcatheter aortic valve replacement (TAVR) for the treatment of aortic stenosis; and transcatheter mitral valve repair (TMVR) for the treatment of mitral regurgitation. Before, the only option to treat coronary artery disease and valve disease was open-heart surgery. These minimally invasive approaches are less painful and have shorter recovery times, allowing patients to go home sooner. More importantly, patients notice improvement in their symptoms, often within 24 hours of the procedure. As a woman, how do you prioritize your heart health? As this year’s Lankenau Heart Institute Go Red for Women Heart Champion, I’ve met women of all ages and backgrounds who juggle many roles—daughter, mother, wife, friend, colleague—and often prioritize others but do not make their own health a priority. Finding the time to exercise, eat a balanced diet, manage stress, and see a doctor regularly is not easy. But we cannot forget the keys to long-term health benefits. Through the Go Red for Women campaign this year, I really want to encourage women to “AIM” for their best health: Advocate for your own health, not just the health of your family and others; Innovate solutions to manage and reduce stress; and Motivate to take action to improve your health. You can’t take care of your family and others if you’re not taking care of yourself first. 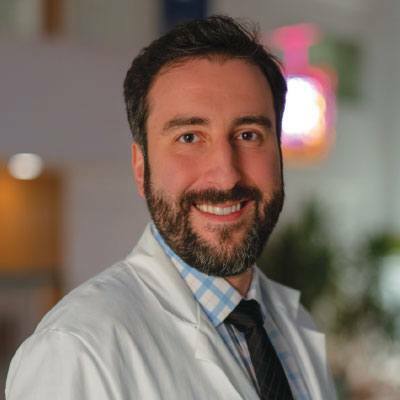 Chronic stress threatens your wellbeing on a number of fronts, your cardiovascular health foremost among them, says Behnam Bozorgnia, MD, Director of the Einstein Healthcare Network’s Advanced Heart Failure Program. How much of a role does psychosocial stress play in the development of heart disease? That’s a question I hear a lot from my patients. My basic answer is: It doesn’t help. Studies show that people with chronically higher levels of stress perform more poorly on all levels of health, especially their cardiovascular health. How much does one’s mental health affect one’s physical health? A classic example is a young woman or man who was referred by their PCP for chest pain or shortness of breath. It usually turns out that the most likely explanation for their physical symptoms is emotional distress, like anxiety or depression. But that doesn’t mean we are done. Clearly something is wrong. We may have ruled out heart disease, but we have found another disease process that needs to be addressed. One of your areas of expertise is cardiac imaging. How different is it from even 10 years ago? The technology’s undergone a fantastic evolution, not unlike your cell phone. The screens are bigger and the images are crisper. There’s also less radiation involved in cardiac imaging today, and the imaging is less invasive. How does that help you? With cardiomyopathy, which is disease of the heart muscle, finding the source of the problem is very important. The better I can see, the easier it is to assess what’s going on and find the source of the problem. In what ways has early detection made an impact on how you treatheart disease? With heart disease, we’ve done imaging for a long time, but supplementing it in recent years with therapies for all the primary risk factors has made all the difference. Certainly, I’m glad the technology is moving forward as quickly as it is, but my hope is that we put much more emphasis on preventative care. From the standpoint of the patient’s comfort and the cost to the health care system, it is much better to prevent rather than treat. If you could convey any part of your experience with your advanced heart failure patients to readers to help them better appreciate their heart health, what would you tell them? Much of my work involves dealing with end-stage heart failure, but I also see patients well before they reach that point. And my goal with them is always the same: to prevent their heart from deteriorating to that extent. Yes, technology is allowing patients to live longer with heart disease, but our focus needs to remain on preventing heart disease in the first place. I like to tell my patients, even with all the advances, no heart beats like your heart. What advice do you have for those who may be feeling daunted by the prospect of improving their heart health? Change is possible, no matter how out of shape you may feel. It’s about starting slow and working your way up. It took years to get to this point. It’ll likely take years to get out of it. But you’re not in it alone. 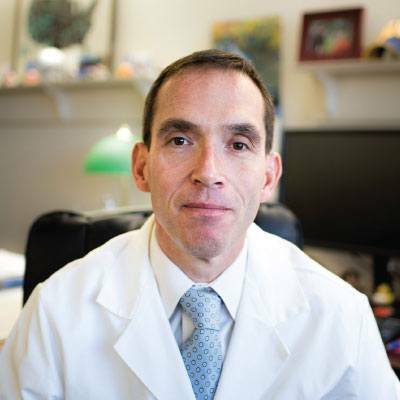 Doylestown Health interventional cardiologist Steven Guidera, MD, FACC, FSCAI, is at the forefront of lifesaving advances for stroke and cardiovascular disease. Why would someone be referred to an interventional cardiologist? Interventionalists see patients who are referred by their primary physicians or general cardiologists after some noninvasive evaluation (echocardiogram, stress test) is done and suggests the patient would benefit from an advanced procedure or cardiac surgery. The interventional cardiologist performs a cardiac catheterization and may implant a stent to treat a severe coronary obstruction. What’s the most common issue you treat women for? Women live in fear of breast cancer when, in fact, coronary artery disease is the number one killer of both women and men by a significant margin. The difference between how men and women experience those symptoms, I think, may be a little overplayed. But women generally have a higher threshold for pain, so they may not recognize their symptoms the same way. Commonly, they’ll describe a general unease in their chest. Catheter-based procedures, like angioplasty and stenting, are considered one of cardiology’s biggest game-changers. How different does the field look today because of them? When I started practicing, we had only balloon angioplasty. The advent of stents in 1994 and drug-coated stents in 2003 were tremendous advances. We now perform these procedures at extremely low risk using the radial artery, a tiny artery in the wrist, instead of the femoral artery, a large artery in the groin. It has been our default approach for the last nine years at Doylestown Hospital. Our patients are out of bed and walking around within 30-60 minutes after the procedure. Beyond those, what are the most meaningful breakthroughs to have occurred during your career? Transcatheter aortic valve replacement (TAVR), a minimally invasive approach to replacing aortic heart valves, is one. We’re now able to noninvasively replace a narrowed heart valve in the cath lab as an alternative to open heart surgery. We’ve treated hundreds of patients without a single death, and more than half go home the day after the procedure. Another is the development of the mechanical thrombectomy to treat acute stroke, which allows us to advance a device from the femoral artery up to the brain and actually remove the clot that’s causing a devastating stroke, significantly improving the neurologic outcome following stroke. Does one of those instances resonate with you? Several years ago, a 75-year-old woman was brought by her family to the ER in the midst of a severe stroke. She was paralyzed and unable to speak. We brought her up to the cardiac catheterization lab and retrieved the clot from her brain. It was one of the first mechanical thrombectomies we performed. While we were still in the lab, she began talking again and moving her arms and legs. And three days later, she walked out of the hospital. That’s the kind of outcome I’ll never forget. Many women with high cholesterol have a genetic predisposition to it. But too many don’t realize it until it’s put them at risk for developing heart disease, says Crozer-Keystone Health System cardiologist Kimberly Campbell, MD, FACC. Have advances in treating heart disease changed the way you care for patients? Advances in care mean that patients with heart disease are living longer than in the past. So we’re no longer just dealing with acute events like heart attacks and strokes. Now, we’re also helping people with this disease live longer, more fulfilling lives. In that way, heart disease is becoming more of a chronic problem that we can manage rather than a terminal illness. Are the effects of smoking on the heart reversible? We know that smoking does accelerate heart disease. But the benefits of smoking cessation are very real. Typically, it takes about 10 years after quitting for the cardiovascular risk to fall back to normal. So that means the sooner you quit, the better. But it’s never too late. Asking for a friend: Does smoking marijuana have the same adverse effects on the heart? At this point, we just don’t know the full impact. There hasn’t been enough research. But some of the early studies have suggested that smoking marijuana does affect the cardiovascular system similarly to smoking tobacco. We’re hearing a lot about the strides being made with heart disease, but it remains the number one killer by a wide margin. Is that progress exaggerated? It’s real. We only need to look at the number of heart disease-related deaths in this country. They’ve dropped dramatically in recent years. That said, one area where we’ve not made progress, particularly in women, is in increasing the awareness of heart disease as the potent threat that it is. Less than one in five women realizes that it’s the leading killer of women. How would improving awareness help their cause? Eating a healthy diet has some benefit, but it’s only going to get you about a 10 percent reduction in your cholesterol levels. There’s also the genetic component that needs to be considered. A lot of women with high cholesterol have a genetic predisposition to it, which is out of their control. But, as a result, it also seems to be off their radar. So, for the greatest impact, adding medications far exceeds strictly eating healthier. Both, however, should be part of the plan. How do you prioritize your heart health? I’ll admit it’s difficult for me. I fill multiple roles every day: I’m a physician, a mother and a wife, and I’m always trying to balance everyone’s needs. At home, I try to cook healthy meals for my family, which benefits me and sets a good example for my kids. But perhaps the most important thing that I try to do is set aside time for myself every day. Even if it’s just 30 minutes on the treadmill first thing in the morning, it’s time I’ve carved out to focus on my health before I hand myself over to everyone else’s needs. And being active is important. The latest research indicates it doesn’t need to be anything as rigorous as running. Even walking from a more distant parking spot counts. 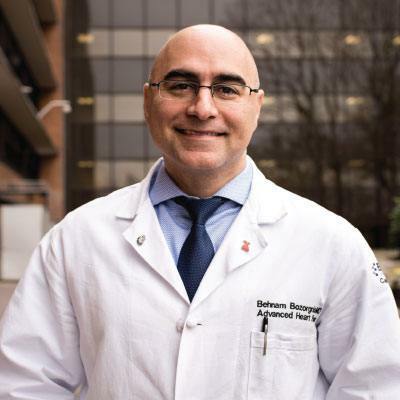 Rene Alvarez Jr., MD, FACC, Director of Cardiology at Thomas Jefferson University Hospital, says there are more reasons than ever to be hopeful about our fight against heart disease. What might readers be surprised to know about heart health? Heart disease is completely preventable. Awareness and active participation in your health are the keys to preventing heart disease and stroke. How can someone take an active role in their health? Get to know your blood pressure, your cholesterol levels, your BMI and your glucose level. If you’re smoking, stop. Lead an active lifestyle. By identifying your risk factors, which are modifiable, and addressing them with the help of your doctor, you can have a significant impact on preventing a heart attack or stroke. Basically, be an advocate for your own health and that of your family.We’ve come a long way in our understanding of causes, and we’re making strides to ensure there will eventually be a day with no heart disease. Do you feel optimistic about the fight against heart disease? It’s a wonderful time in medicine, but, unfortunately, we still don’t have a cure. I have no doubt that one day, hopefully within my career, we will see the eradication of heart and cerebrovascular disease. It is going to take a new way of thinking with improved prevention strategies that begin early in childhood—and perhaps even in utero. 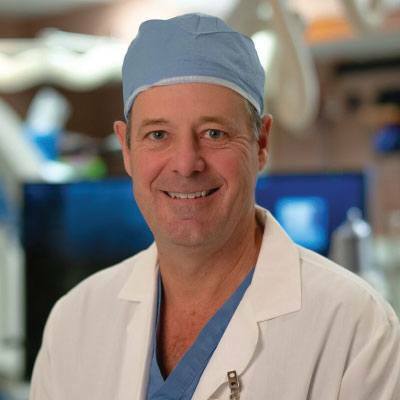 The future of treating heart failure lies with artificial pumps, says Donald Haas, MD, Medical Director, Ventricular Assist Device Program at the Abington-Jefferson Health Heart and Vascular Institute. How do artificial pumps fit into today’s landscape? The newest generation of heart pumps are very durable. They can be used to “bridge” someone in heart failure to a transplant. They can also prolong the life of someone who’s not a transplant candidate for years. What’s that mean for women, in particular? Men and women are equally affected by heart failure, and heart pumps are an important treatment option. In the past, pumps were larger and sometimes patients couldn’t receive a pump because it was too large for their body. This disproportionally affected women. As pump technology has evolved, heart pumps have become quite small and body size is no longer an issue. What excites you about your work now? Artificial pumps have emerged as the new paradigm for prolonging the lives of patients without plans for transplant. The trouble is that, often, the older adults who could benefit most aren’t interested in travelling long distances or into the city for the surgery or follow-ups. So we helped develop the idea of “shared care,” where the patients are cared for by their local cardiologist after the pump implant is done at an implanting center, such as the Abington-Jefferson Health Heart and Vascular Institute. 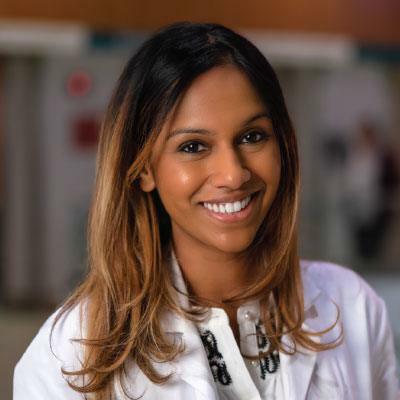 Finding time every day for yourself, says Preethi Pirlamarla, MD, a cardiologist at Thomas Jefferson University Hospital, goes a long way toward preventing stress-related heart disease. How does psychosocial stress present as a risk factor for heart disease? Stress, in combination with other risk factors, has been closely linked with both coronary artery disease and heart failure. In both, women can present differently than men. They may have shortness of breath, excessive fatigue or abdominal pain. Or they may just say, “I don’t feel like myself.” Whenever I hear that, I take it seriously because women know their bodies and they can sense when something’s not right, even if they’re not sure what it is. How do you manage your stress level? I like to cook and travel when I can, but my biggest stress reliever is running. There’s a lot of data that illustrates the beneficial effects of cardiovascular exercise on heart disease. Is there a link between mental and cardiovascular health? Yes. More and more, we advocate self-health, both physically and mentally. Basically, it means taking out some time for yourself every day. We’ve come to realize just how valuable that is as we’ve established a close link between mental health and cardiovascular health. Doing that, along with a balanced diet and exercising, can have an enormous effect on your cardiovascular health. 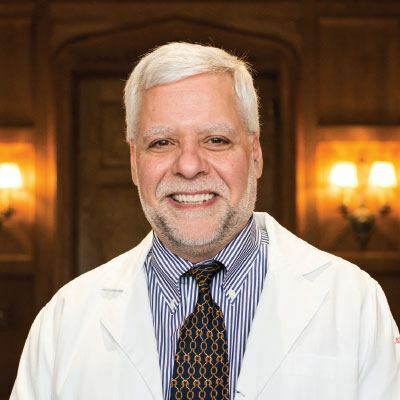 Alec Vishnevsky, MD, Medical Director of Structural Heart Disease at Jefferson Torresdale and Associate Program Director for the Cardiovascular Disease Fellowship at Thomas Jefferson University Hospital, offers a glimpse into a rapidly evolving segment of cardiology. Is structural heart disease becoming more widespread? Yes. What we’re seeing most frequently is valvular heart disease, and the two most common are aortic stenosis, which is the narrowing of the heart’s aortic valve, and mitral regurgitation, where the heart’s mitral valve becomes leaky. As many as one in eight adults over 75 will develop significant aortic stenosis. And that number will only increase over time because we’re getting better at recognizing more subtle manifestations of the disease in patients at risk. What are early indications that someone’s suffering from those conditions? The most common symptom with valvular heart disease is shortness of breath with exertion or new fatigue. You’ll realize that you can’t walk as far as you once could, or you’ll tire more easily performing routine activities. What quality of life can someone have post-treatment? Years ago, the only option for treatment of structural heart diseases was open-heart surgery. Today, we can replace an aortic valve or repair a mitral valve by creating a venous or arterial puncture half a centimeter in diameter. Within a month of the procedure, someone who was significantly limited by symptoms can return to living a fairly active life.